You all know how wireless charging pads work, simply place your phone on top and voila! 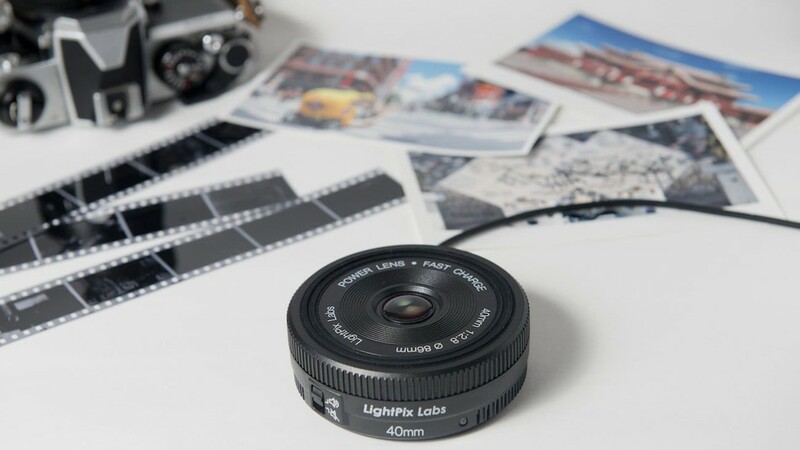 But this charger from LightPix Labs features a unique eye-catching design that photographers will love. Since furniture makers like IKEA and smartphone giants Samsung and now (finally) Apple jumped on the wireless charging craze, it has become an increasing feature among new tech products. But aside from coming in a variety of different colours, most wireless charging pads look pretty samey, unless of course they’re cleverly disguised as lamps or coffee table surfaces. 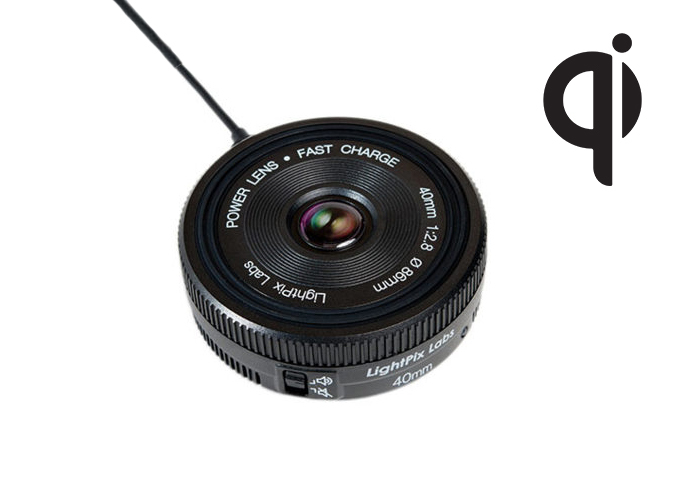 Despite its looks the unique Power Lens Qi Charging Pad has a 10W output, compatible with Qualcomm Quick Charge 2.0 and Quick Charge 3.0 (with correct wall charger) and can provide a 1.5x faster charge compared to standard wireless chargers, all for only $29.99. Including clever lens details and shutter click sound effects the Qi-enabled charger is compatible with all standard Qi-powered smartphones, including the Samsung Galaxy S8/S8+, iPhone 8/8 Plus and iPhone X. Love it? Unfortunately they only ship to US addresses currently, but hopefully that changes in the near future.